From friends of friends who work at an organisation, to Instagram photos showcasing glimpses of company culture and life, there are a number of ways for recruits to find out more about their future employer. When 84% of employees would consider quitting their job to take an offer from a company with a great reputation, the importance of managing a company’s online reputation as an employer becomes clear. However, almost 75% of employees in the UK and US say their employers don’t promote their employer brand on social media. When you think about it, a recruiter’s job has a lot in common with a salesperson’s one. 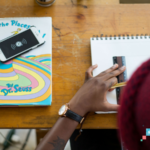 You need to start conversations and keep possible candidates engaged on an on-going basis, find new connections, build meaningful relationships and understand candidates’ pain points to offer the move in their career they are looking for. In the same way that social media is becoming increasingly essential for salespeople, also your job as an HR professional can be made easy by implementing a social selling programme at your company. By empowering colleagues in all departments to share approved brand content online, you can easily generate a greater organic reach for your employer branding initiatives, activating your colleagues as ambassadors of your company culture on social media and fostering an environment where pro-activeness and openness are cherished. In the age of digital communication, finding the right kind of talent has potentially become less of a challenge. Information travels fast, with new possibilities of communication opening every day. Your team’s and you colleagues’ social networks include a number of individuals who share the same interest, the same academic or work experiences. Through social amplification, HR departments can access a pool of potential hires it would otherwise take much longer to get into. One could ask, what are the actual possibilities to brand an employer? Generally, it is a process of establishing a company’s reputation as an employer in order to attract and retain talent. In this context, empowering employees to share on social what life is like at their company has a positive impact on employer branding. 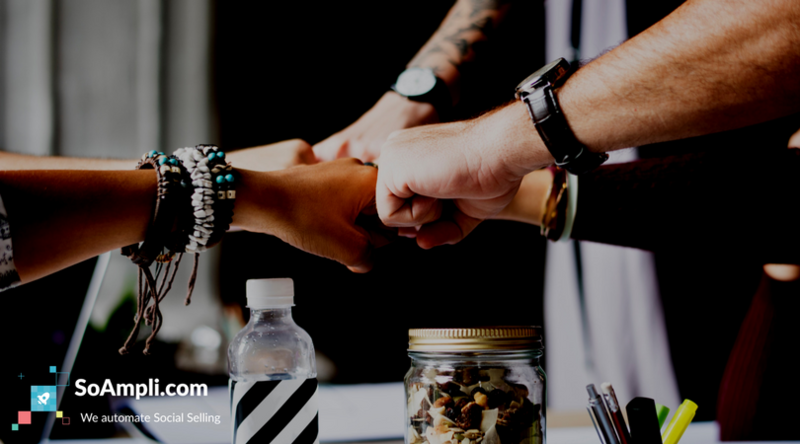 When employees share relevant content about their company through a social selling platform, they amplify their company’s message and show how fun, stimulating or interesting it can be to work there. With 79% of job seekers using social media in their job search (Glassdoor), companies should not underestimate the power of this amplification through personal channels. A few snapshots of life at SoAmpli! Communications on social media provide an alternative and engaging form of interaction. Online, the relationships between people in business gain a possibility to be more personal. Not only does this encourage social connections, but it also makes an HR professional’s job slightly more efficient offline, having a positive impact on overall employee engagement. 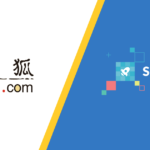 Also, a dedicated social selling platform helps create a sense of community while mitigating risk associated with spontaneous content sharing. This is where employees have the opportunity to share content while being sure they’re staying on brand. In a nutshell, social selling programmes are particularly effective in supporting HR’s employer branding, talent acquisition and community building efforts. 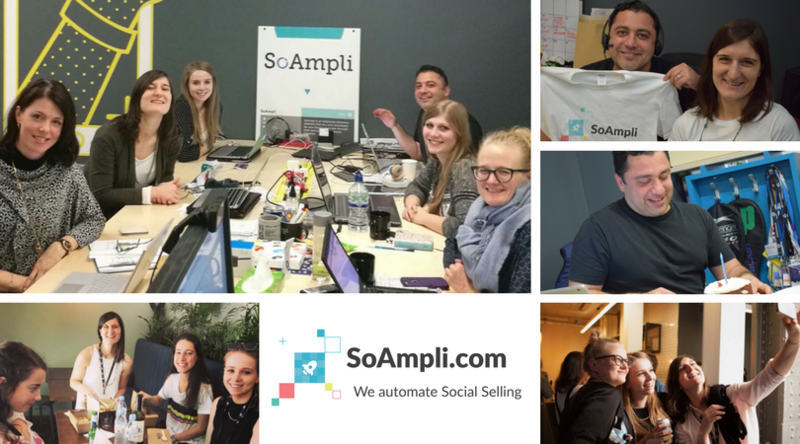 At SoAmpli, we specialise in helping company automate their social selling and social amplification efforts. Through a platform so easy to use that is has been once defined ‘stupid simple’ and a special attention to our clients’ unique needs, we ensure the success and scalability of your social selling programme. Intrigued? Find out what our clients have to say about working with us. A version of this post was originally published on Econsultancy.